About Us : Doug Sexton Agency, Inc.
We have built this business on word-of-mouth for the past 34 years because our clients know we have their family's best interests at heart. 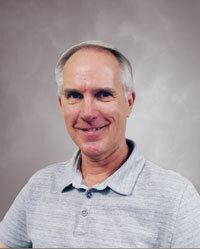 Doug has worked in the insurance industry for 34 years. His professional values focus on providing counsel and guidance to ensure that his clients have the right coverage for their individual needs. Doug lives in Pleasantville, IA with his wife Ana where they spend their time gardening, landscaping, and creating wildlife habitats. Doug has two children both of whom work in the field of education. He also has four grandchildren that he enjoys spending time with. In his free time Doug enjoys hunting, fishing, and boating. In short, he loves the outdoors. Moving all of our insurance needs to Sexton Insurance has been one of the best decisions we've made. They are personable, helpful, and best of all, available. Every question has been answered quickly and issues handled efficiently. We would highly recommend this insurance agency.